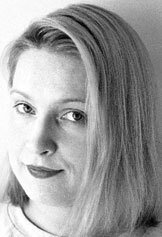 Heather Butler, soprano, began singing with Cantores in Ecclesia in 1996 and performed in the first William Byrd Festival in 1998. Ms. Butler is a columnist and illustrator for a monthly magazine of essays. She is a connoisseur of movies and buildings and has a keen interest in historic preservation.